Are you a Wellness Coach looking to launch and/or build your coaching business? 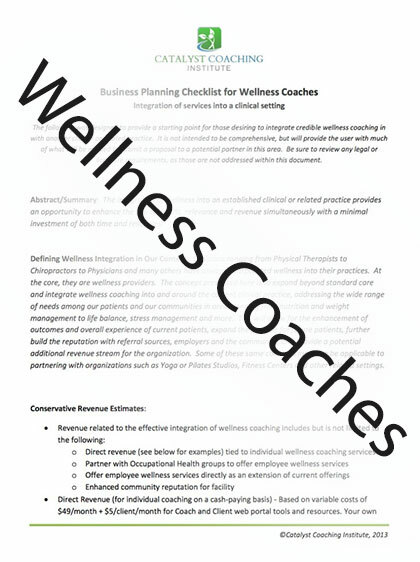 The C-MBA was originally developed specifically for those coaches who had completed their CWC (Certified Wellness Coach) certification and were looking for the next step. Please contact us today and we’ll be back in touch with you shortly to address anything you need to move forward. Are you a Life Coach looking to build your coaching practice into a business? Please complete the details below and we’ll reach out to you directly to answer any questions you may have. Thanks! 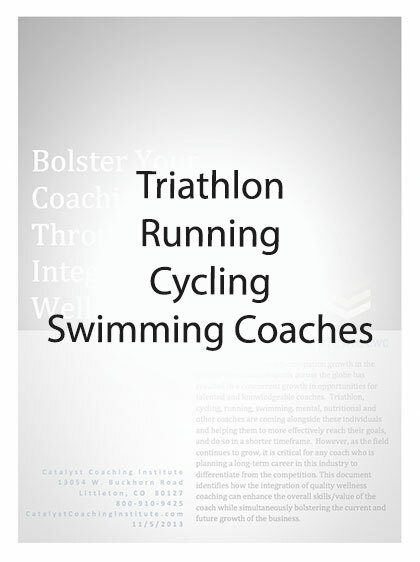 Are you a Triathlon, Running, Cycling, Swimming or other endurance sports related Coach? We live in that world too and are happy to answer any questions you may have about how to build your business. Complete the details below or email us at Results@CatalystCoachingInstitute.com and we’ll get right back with you. 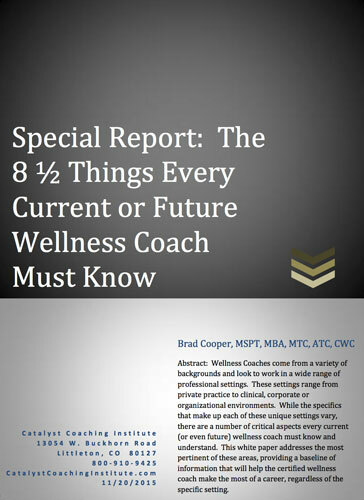 Are you a clinician, such as a Physical Therapist or PT Assistant who’s looking for how to effectively integrate wellness coaching into your practice or as a side business? 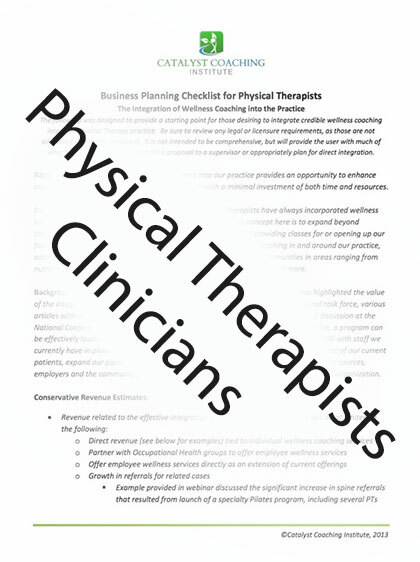 Our Co-Founder is actually a Physical Therapist who wrote the Career Coach column for PT in Motion since 2000 and is currently writing the APTA’s “Well To Do” monthly post. So we know all about the unique aspects of the clinical setting and background. Please complete the details below or contact us at Results@CatalystCoachingInstitute.com and we’ll respond very quickly to your request. Thank you! Are you a Career Coach who’s looking for ways to build your own business to a new level? Please complete the details below and we’ll be back in touch with you very shortly. Thank you.